C D Swanson is an author of both fiction and non-fiction. In addition, she’s been published in four testimony faith-driven books along with various writers who share a common thread-love of God. 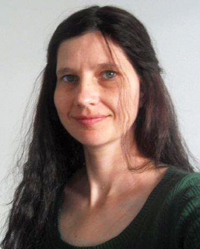 She contributes to magazines, websites, and currently at work on a screenplay adaptation of one of her earlier works. C D is happily married to Ron, whom she met as a teenager, they live with their beloved furry “boy” Max in the good old USA. 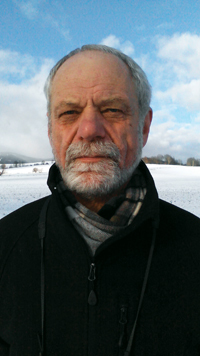 Josef Kobík graduated from the University of 17th November (interpreting and translation in the field of English and Russian) and later from the faculty of pedagogy and psychology at Charles University in Prague. For 42 years he has worked as an English teacher (first at university, then in high school, his own language school and now as a private instructor). He teaches all types of specialties and now, at the age of 66, handles almost three ordinary teaching loads; with enthusiasm and love of both the field and his students. 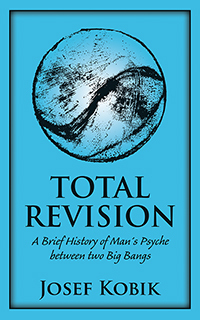 TOTAL REVISION is a summary of the history of the human psyche. From the Big Bang to Adam and Eve to the demise of the Universe. Everything is included! TOTAL REVISION offers an experimental read resembling a photo album look and feel. It gives the readers a huge space for creative thinking based on their own understanding and interpretation. TOTAL REVISION was originally written in Czech: started forty-five years ago, after the Soviet invasion to Czechoslovakia, and finished and published in 1989. It took twenty years to write! TOTAL REVISION is intended primarily for demanding and experienced readers. Do you like Bunin, Babel, Bulgakov, Heller, Bradbury, Vonnegut? Do you like to laugh? Then there is a good chance that TOTAL REVISION will appeal to you. 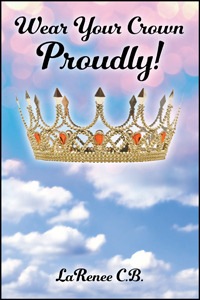 Introducing LaRenee C.B., author of Wear your Crown Proudly! 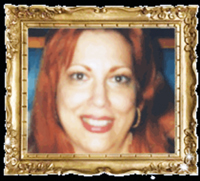 LaRenee C.B. enjoys singing, dancing, writing, reading, watching the sun set, and meeting new people. Wear Your Crown Proudly! is her first book, and she is currently at work on her second. 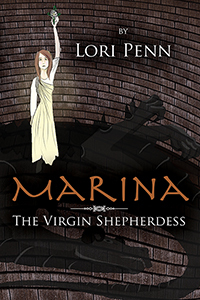 Cherri was a good girl at heart-kind, loving, and faithful-but even as a young girl she suffered from low self-esteem. As she grew into a young woman, her lack of confidence resulted in abusive relationships, and this, combined with infertility issues, led to deep depression and despair. It took years, and a renewed faith in God, before Cherri realized that she was the only obstacle in a path filled with joy, genuine friendships, success, and true love. Wear Your Crown Proudly! 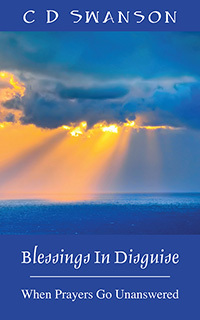 is a testament to the strength one woman found to overcome trauma and self-doubt. The book is also a loving reminder to women that we are to use our God-given talents for a positive purpose, and in doing so, we will be honored, loved, and adored. By giving God the glory, we will be rewarded with peace, dignity, and grace. After all, every woman is born a princess, and with God’s help she becomes a queen. So…wear your crown proudly! About Leroy Lakey: In this short book I have tried to raise some of these questions and explain some of my confusions. I still have a lot of questions as I suppose that most people do. It is my hope that within these pages that I at least give you some thoughts that you have not considered before. Perhaps you have accepted some answers about the scriptures without giving it much thought. I don’t like to accept things without at least considering other options. The idea for this book was originally to help my kids understand some of my often confusing ideas. There is an old quotation which has been attributed to Alan Greenspan that says “I know that you believe that you think you understand what you thought you heard me say, but what you don’t realize is that what you heard is not what I meant”. I quite often am reminded of this quote especially in my trying to understand the Bible and in my relationship to God. About the author: The name Travis in Hebrew is “Hebrew/Heber/Eber” meaning, “He who is from the crossroads.” I happen to be living in the “crossroads of the West”. I was born and raised a Californian though. Schooling involves a Bachelors from the University of Lethbridge in Alberta, Canada and two years at the University of Utah. I’ve studied the Old Testament, Biblical Hebrew, Greek, Egyptian, and Philosophy of Science; which just happen to be the perfect education to make the discovery of the new theory of Paleo-Hebrew. A new theory has been discovered about the origins of the Hebrew alphabet and how the vocabulary has been developed. The result is a new translation of the Torah, the 5 Books of Moses. And the Creation Story is revealed as a Hebrew Scribe’s rewrite of the Egyptian’s Creation Story originating from the Pyramid Texts dating to 2400BCE. Della Stewart’s interest in the spiritual life has been part of her since she was a little girl, when she was drawn to the church and to the Bible. The Bible’s message of love and healing power resonated with her, and has become a message that she wants to share with others. Della has two children and six grandchildren, and is grateful for the love of her family, and the love of God. The self-help and positive thinking industry has sparked thousands of books, seminars, gurus, and personalities. Articles and advice surround us; talk shows and inspirational videos are everywhere. But all of that enlightenment is available in one place, the source of all true illumination: the Word of God. Aha Moments in the Bible is an inspiring, reassuring reminder that our faith in God and walk with Christ can give us all the guidance and support we need through life’s trials and tests. 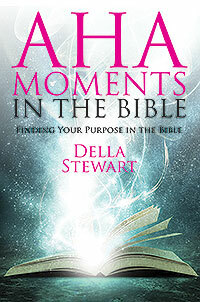 Author Della Stewart brings the scriptures to life, showing us how our modern problems and concerns are all compassionately addressed in the Bible, and how we can transform our lives by embodying and sharing God’s timeless wisdom.